create a curriculum or some kind of club that promotes technology. If that doesn't happen, no problem. Screwing around with these cute little computers is a very good way to spend time with kids. In about two hours, only one kid looked at his cell phone, one time. Wow. 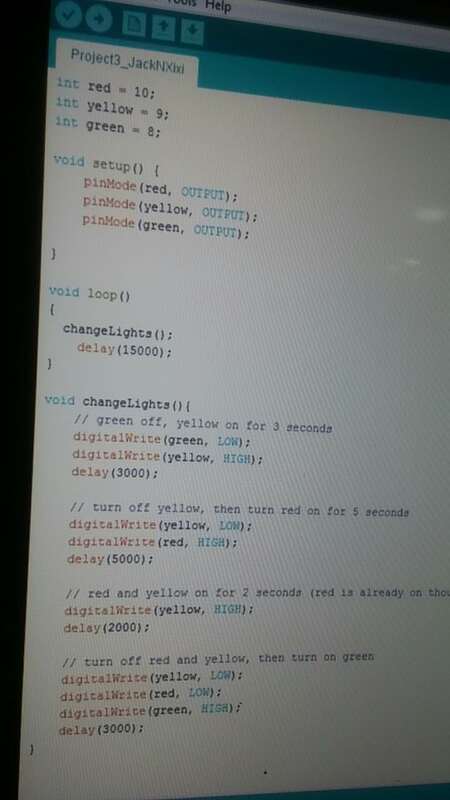 This application created a stop light scenario where the program turned the red, yellow, and green lights on at appropriate times, as if it were a real traffic light. Right now we are at the beginning, with plug and chug operations. We did teach input/output, circuits, positive/negative, and some other electronics. It is very cool. This entry was posted in Education, Jack by admin. Bookmark the permalink.